I decide what goes into my body. I make the choice to take care of my body... or not. Bad habits are not addictions. Set up tripod in a location where after you get dressed you can snap ONE picture after you go out the door. Don't give yourself the opportunity to dislike it. 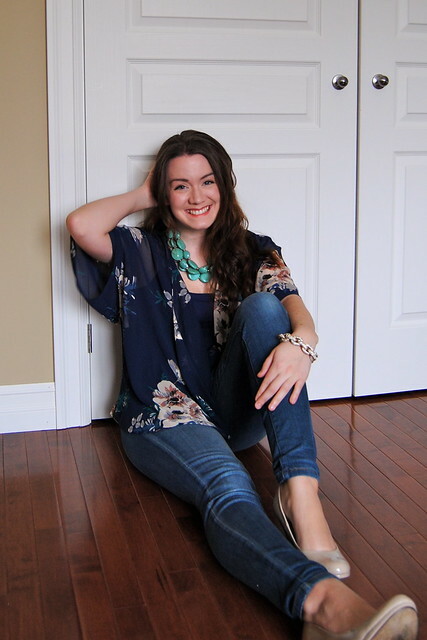 This is not for the purpose of a photo shoot to post on the blog, and not even a memorable outfit day post, but this is for me: get dressed and smile before you go out the door--be proud of your body and of your progress. I just surprised myself: as I wrote that last line, I just started to cry. I haven't been proud of myself in a long time (in this area of my life). You can tell from my lack of posts. I just took out the scale and weighed myself. I'm back to my pre-pregnancy weight. This, for most people, is a celebration, but not for me. 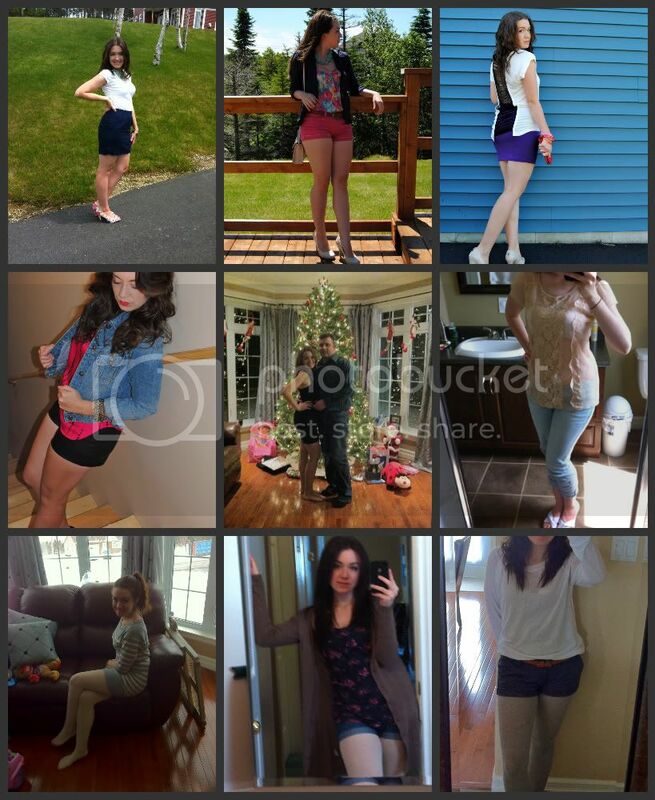 I lost ten pounds after I had my daughter and I looked the best I did in my entire life. People who hadn't seen in me in a few years looked at me, surprised, noting how slim I looked in comparison. Now I get the comment that I'm "rounding up again", and it's shot my confidence to hell. And I complain about it a lot. I'm not going to do it anymore. For one, no one, including myself, wants to hear it. Nor do they care. I've been wearing clothes that have been hiding my shape. I've been avoiding certain items in my closet. I don't want to do that anymore. I watched a video last night about a boy who died of a rare heart condition who said he felt like he could die because he was proud of his life. Can you say that? In many areas of my life, I feel I am quite happy--not perfect--but this... I haven't worked hard enough. This is my challenge: Don't whine. Don't cry. Work hard. Teaching my daughter a healthy lifestyle: leading by example is the ONLY way to teach this. Digging up some pictures of myself from when I was at my goal weight. Looking at them when I want to give up. Knowing that I am in control of my body and what it looks and feels like. The only time I cheat on my goal is when I feel like nothing will change. I feel powerless. Hopeless. Apathetic. I hope you don't think I've been too honest. I'm publishing this before I change my mind! Have a great weekend everyone.